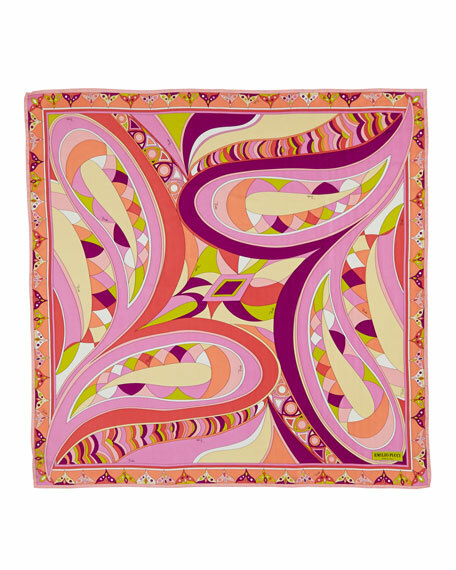 Elaborately printed slippery silk adds dimension to your look without weighing you down, making this Emilio Pucci scarf seasonless. Wrap it around the neck, knot it across your shoulders, or tie it to tote handles. 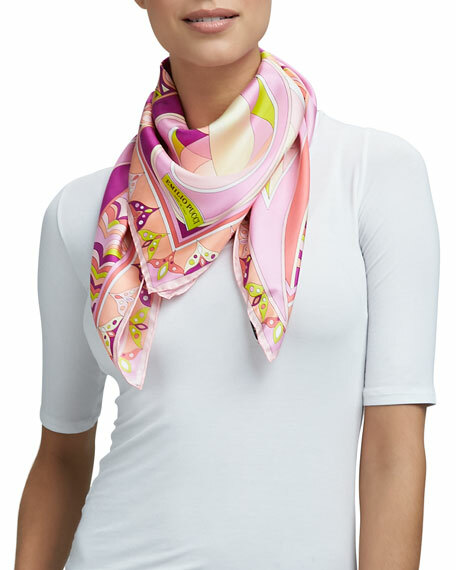 Signature Emilio Pucci printed silk. Model's measurements: Height 5'11"/180cm, bust 32"/81cm, waist 24"/61cm, hips 34"/86cm, dress size US 2.